I am an Advocate & Solicitor of the Supreme Court of Singapore. I believe that lawyering is about serving people to bring about justice, well-being and peace. I am a Director at Covenant Chambers LLC, formerly commencing my legal career at one of the Big Four firms, Rajah & Tann Singapore LLP, in commercial litigation & arbitration, advising and representing institutional and individual clients in a broad range of disputes from multi-million dollar investment claims to employment disputes. I also enjoy a corporate business advisory practice on various areas including technology law, employment law, startups, investments & financing, regulatory advice, financial services, corporate transactions and acquisitions, and ICOs and blockchain. I volunteer pro bono with HealthServe (representing migrant workers; researching and engaging on human trafficking issues), various legal clinics, LAB and CLAS. I advocate for social justice in various platforms, and frequently author academic and thought papers, some of which have been published in various journals. In my other roles, I try to pioneer movements, build communities, provoke novel ideas, mobilise people, and create culture. Check out my firm‘s website. Contact me at ronald.wong@covenantchambers.com. Advised and acted for a Singapore-regulated Fund Management Company and Managing Partner in defending a fraud claim of more than US$2.4 million in misrepresentation, breach of contract and conspiracy involving a share option. Advised and acted for reputed large wine merchant in more than 20 suits, claiming in conversion, detinue, unjust enrichment, involving commercial fraud concerning about S$7 million in value. Advised and acted for a former Managing Director of a multi-national corporation on a wrongful employee termination claim involving medical-related issues. Advised a major East Asian bank in relation to requests from Singapore tax authorities for confidential customer banking information pursuant to exchange of information requests from a foreign country under a bilateral tax treaty. Advised a large global bank on rights and obligations regarding investment management discretionary accounts. Advised a multi-national corporation on its rights and obligations in respect of arbitration under International Chamber of Commerce (ICC) rules and litigation in a foreign jurisdiction relating to franchise agreements. Advised a company in the offshore industry in a dispute relating to breaches of charterparty and arbitration under London Maritime Arbitrators Association (LMAA) rules. Advised and acted for a bank in a claim for monies under a cross-collateralised facility agreement and possession of mortgaged property. Advised and acted for a company in the offshore industry in a dispute involving a multi-million dollar EPCIC contract; acted for the same in an application for an urgent ex-parte injunction to restrain the call on a performance bond. Assisted in representing a hydraulic engineering company in an SIAC arbitration in a dispute involving a contract for the design, supply, installation, testing and commissioning of hydraulic systems for a landmark local attraction. Acted for food importers and distributors in respect of a Competition Commission of Singapore (CCS) charge under section 47 of the Competition Act for alleged price fixing, market sharing and engaging in anti-competitive discussion in one of Singapore’s largest competition cases (total financial penalty amounting to S$26.9 million); drafted competition law compliance policy for company. Advised and acted for companies in a dispute involving a proprietary claim regarding a trust over shares. Advised and acted for a company and a shareholder-director in resisting a minority oppression claim involving a company which business is in hotel development and operation and allegations concerning funds amounting to up to $40 million. Advised and acted for a company on breaches of confidentiality obligations, non-compete restraint of trade covenants, and directors’ and fiduciary duties by a former director and employee. Advised and acted for liquidators of insolvent companies in various issues regarding winding-up proceedings, claims against former directors for breaches of directors’ and fiduciary duties, assignment of chose in action for proceeds of litigation, and discharge of liquidators. Assisted in representing a medical doctor in an appeal relating to professional disciplinary proceedings involving novel issues of innovative medical treatment. Advised and acted for a property developer in a claim arising from breaches of contract and misrepresentation in relation to the sale of a property, and losses incurred due to consequent delays to redevelopment plans. Advised and acted for minority shareholders in an action for leave to bring a statutory derivative action against the directors of the company for breaches of statutory and fiduciary duties involving hotels and multi-million dollar sums of moneys. Acted for the company in the resulting derivative action against a director of the company for breaches of statutory and fiduciary duties, pursuant to leave granted by the High Court. Advised and represented property owners regarding claims for liquidated damages for delay in giving vacant possession and completion of sale and purchase of property. Advised and represented Management Corporation Strata Title (MCST) in claim against property developer for multiple defects, unpaid charges, and other matters. Advised and acted for leading home appliances company regarding intellectual property, trade mark dispute, distributorship agreement. Acted for a high net-worth individual in a matrimonial dispute to resist an application for a stay of local proceedings on the grounds of forum non conveniens and to apply for an anti-suit injunction restraining foreign divorce proceedings. Advised on a dispute relating to the vitiation of a conveyance of property interest by way of gift involving fraudulent misrepresentation and undue influence. Acted for an employee in an appeal to the High Court against a labour court (Commissioner of Labour) order in respect of salary claims under the Employment Act. Advised and acted for construction company in claims for breach of contract, defending claims alleging multiple defects and delay in completion. Acted for a steel trading company operating in Myanmar in claiming against a steel pipe supplier regarding a breach of contract. Acted for an industrial safety company in a claim against a storage company for breach of contract, tort and breach of bailee’s duties. Acted for storage facility operator in successfully defending a claim in breach of bailee’s duties. Advised and represented business owner and society member on defamation and claim for unpaid loans / debts. Advised a global company in the offshore oil and gas industry on the review and drafting of a joint venture tender contract. Advised an international professional association on, and led, an internal disciplinary inquiry into a whistleblower complaint. Advised high net worth foreign private clients on complex trust structures, wealth management and novel cross-border personal property issues, and reviewing and drafting of trust deeds and letters of wishes. Advised multi-national companies on employment law & practice, and potential trade dispute with a trade union. Advised a multi-national financial consultancy firm on employment, shareholder, directorship and intellectual property issues regarding the removal of a local managing director. Advised an insurer on various potential claims involving a reverse mortgage facility agreement and mental capacity of a customer. Advised a professional association on restructuring its corporate legal structure from society to company and drafting its corporate constitution. Advised a professional association on the review and drafting of a Memorandum of Understanding and commercial agreements with a statutory regulatory body. Advised international Non-Governmental Organisations (NGOs) on structuring their corporate presence in Singapore and other related legal issues. Advised a charity on setting up a new legal structure in collaboration with a third party organisation; advised on its corporate constitution and reviewing and drafting a Board committee terms of reference; advised on charity governance issues. Advised a professional association on conducting its Annual General Meeting (AGM) and potential disputes arising in relation to the same. Advised a design consultancy firm on the drafting of premises sharing agreement and design consultancy agreements. Advised a shareholder on the sale and purchase of shares and private acquisition of businesses. Advised the large venue operator managing a large-scale sports, entertainment and lifestyle hub on a review and drafting of quality policies and procedures for their Quality Management System in accordance with ISO 9001:2015; and risk assessment review in accordance with ISO 31000. Advised an individual on an appeal regarding waiver of National Service obligations pending citizenship renunciation. Advised a high level executive of a multi-national corporation in the shipping industry on severance and retrenchment from employment. Advised an alumni association on the review and amendment of society constitution. Advised a company and founder on corporate insolvency and bankruptcy matters. Advised a shareholder director on various issues regarding an exit from a group of companies. Advised commodities import and distribution company on re-structuring of debts and managing creditors’ claims. Advised and represented food import and distribution company on drafting of contracts and terms and conditions for sale and purchase of food products. Advised multi-national corporation on tax and foreign employment legal issues. Advised medical technology startup on various medtech legal issues. Advised payment processing, e-wallet and entertainment listing startup on various legal issues. Advised and represented individual in relation to defending a trade mark infringement claim by large multi-national corporation. Advised tech startup in financing round, including drafting of share subscription agreement, shareholders agreement, and amending of company constitution. Advised tech startup on drafting a convertible loan agreement for bridging funding. Advised technology startup on drafting intellectual property and source code licence agreement and Software as a Service (SaaS) agreement. Advised medical and asset management technology startup on drafting of founders / shareholders agreement and sale and purchase of shares, confidentiality and assignment of intellectual property rights. 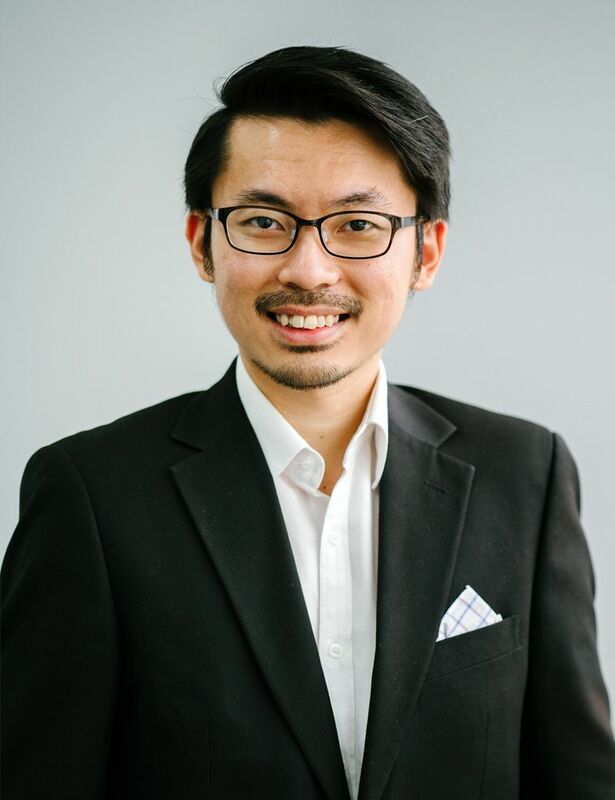 Advised payment processing and e-wallet startup on Monetary Authority of Singapore (MAS) financial laws and regulations and legal issues concerning stored value facility, money-changing and remittance business, and anti-money laundering. Advised on drafting of cryptocurrency (Bitcoin and alternative coins) trading services agreement. Advised on cryptocurrency crowdfunding, initial coin offerings (ICO) / digital token sales, including drafting and review of token sale agreements and white papers, providing legal opinions on applicable laws and regulations. Advised on establishment of, and licensing and regulatory conditions for, cryptocurrency exchange / digital payment token exchange. Advised startup on series investment funding including drafting of investment and shareholders agreements. Advised technology company on drafting of franchise agreement for regional technology franchises. Advised a founder of a tech startup on the drafting of a convertible loan agreement.